Good news: I don’t have the flu. No fever, no headache, no stomach upset, no congestion, no sore throat, no cough. Thank goodness. Bad news: I still feel like garbage. Achey, snotty, and exhausted. I can’t even work out. I have tried. It wasn’t pretty. For those of you who know me, you know how serious it is. I have finally accepted that I will be working from the couch when I am not sleeping or trying to get Manatee to do nice things for me. Juice the hell out of everything I could find in the fridge. After getting Manatee to carry our Breville Juice Fountain upstairs to the kitchen, I faced my first challenge. See if you can guess from looking at these two pictures. Other than shooting it from two very different angles and my messy kitchen, you may notice that the first picture is not set up correctly. Yes, it’s been that long since we have used our juicer. I put it together and it wouldn’t turn on. I tried calling Breville (they were not supporting their phone line today), did a bunch of Google searches, but just had a hunch something wasn’t locked in place. 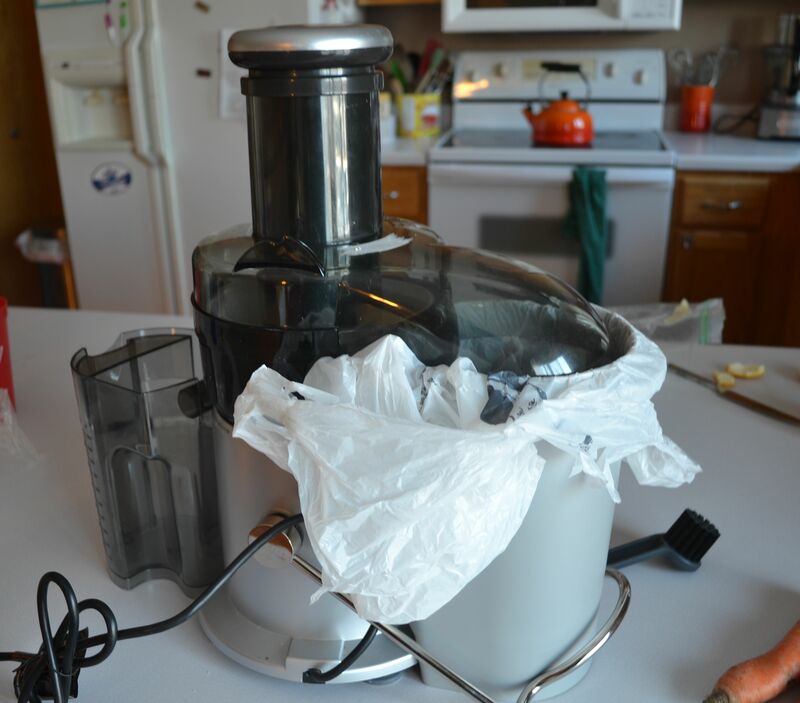 After a few more Google searches, I found a picture and realized that the safety arm wasn’t for holding the waste reservoir but for holding down the actual juicer. Oops. What was I thinking? Manatee follow a recipe?! 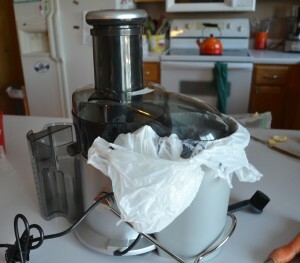 Manatee was much more interested in dumping any and everything into the juicer just to see what would happen. 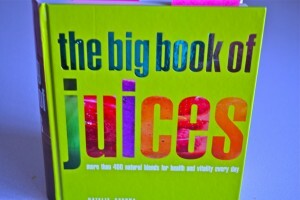 It’s probably not surprising that his juices were not very good and he lost interest in the art of juicing. I grew up on my Dad’s juice concoctions. Though he served them warm and had a similar technique to Manatee in juice composition, he was more persistent and actually did come up with a few things that weren’t bad. 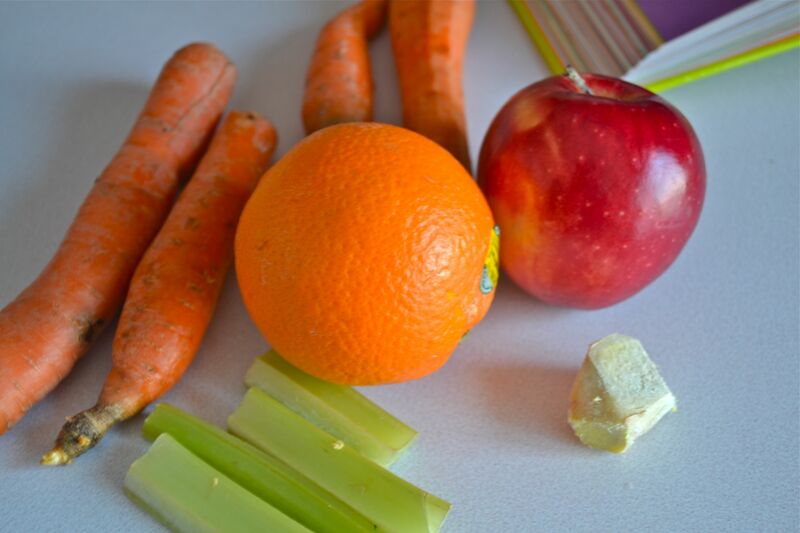 He sang the praises of carrots, apples, and oranges for juicing so I was thrilled to find a recipe that combined all of these plus fresh ginger and celery. I wanted a little more orange flavor, so I added another half of orange, and I was good to go. 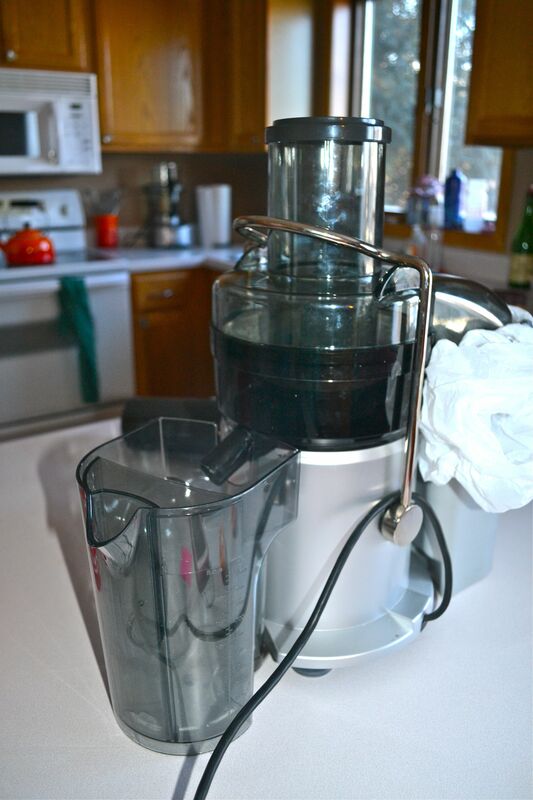 Pass all ingredients through juicer. Serve immediately. Recipe Review: This was amazing! The carrots add a wonderful sweetness to the juice. I have a hard time eating carrots, but no problem drinking them. The apples contribute to that sweetness while the orange and ginger really brighten it. The ginger was a little strong, but after I added the additional orange, it mellowed out a bit. I wasn’t sure how I would feel about the celery but it added a salty dimension that really gave the juice a well-rounded flavor. To help with clean up, line the waste reservoir with a plastic bag. Clean the other parts immediately. Use cold fruit or chill the juice after you make it. It’s always better cold! What are your favorite juicing ingredients or combos? 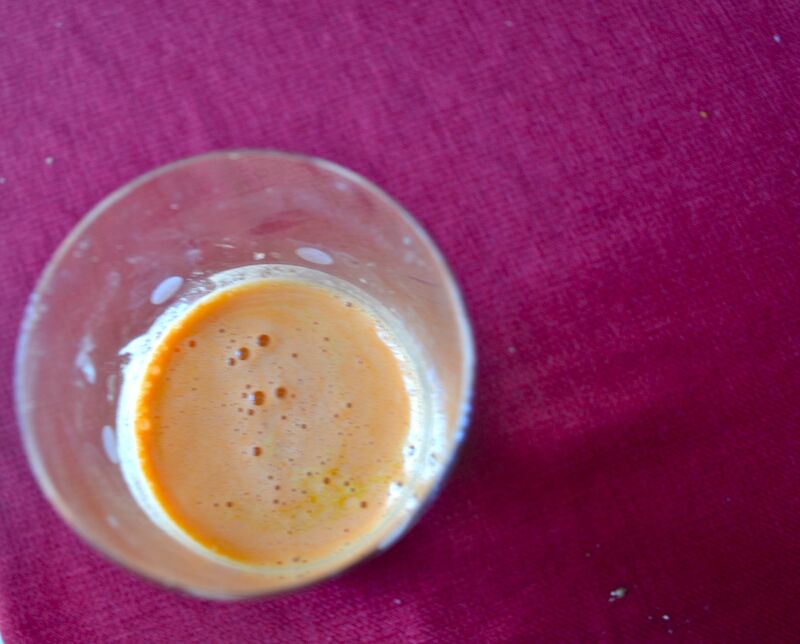 1,905 Comments on "Experiments with Juicing: Carrot Apple Orange Juice"